Esperance is a town in the Goldfields-Esperance region of Western Australia, on the Southern Ocean coastline approximately 720km east-southeast of the state capital, Perth. You'll enjoy a bit of beach vacationing at Thistle Cove and Cape Le Grand National Park. Get outdoors at Twilight Bay and Lucky Bay. 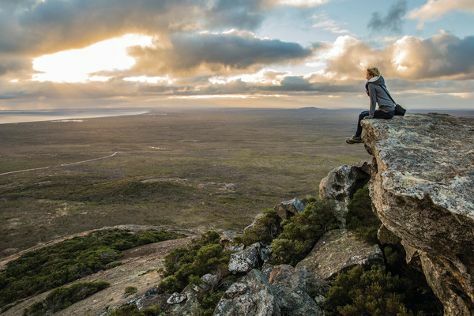 And it doesn't end there: take a memorable drive along Great Ocean Drive, don't miss a visit to Ten Mile Lagoon Wind Farm, enjoy the sand and surf at Ten Mile Lagoon, and contemplate the long history of Esperance Stonehenge. To find more things to do, ratings, other places to visit, and tourist information, refer to the Esperance visit planner . In February, daytime highs in Esperance are 32°C, while nighttime lows are 17°C. Wrap up your sightseeing on the 12th (Tue) early enough to travel back home.